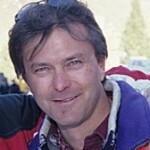 Eagle-Vail’s Mike Brown, a former U.S. Ski Team racer and highly successful coach, tops the local list of inductees to the Vail-based Colorado Ski & Snowboard Museum Hall of Fame’s Class of 2014. “Brownie,” as many Vail Valley residents know him, is the son of Vail pioneers Vi and Byron Brown, who still live in the same West Vail neighborhood they helped develop back in Vail’s formative years. Mostly, though, they’re known as the tireless forces of nature behind the Eagle Valley Community Fund Rummage Sale that has raised money for local charities since 1964. Mike’s wife, Jen Brown, is the senior public relations manager for Beaver Creek and a former top-level ski racer in her own right. Mike Brown was a U.S. Ski Team standout and contemporary of such greats as Bill Johnson, Phil and Steve Mahre, although Mike’s ski-racing career didn’t go quite the way he’d hoped. Still, despite the disappointments of not making the 1984 and 1988 Olympic teams, and a long battle with ski-related injuries, Brown always remained relentlessly upbeat. That infectious spirit transferred to the U.S. Disabled Ski Team, which he helped coach to stellar levels in the 1990s with local athletes such as Hall of Fame member Sarah Will – one of the most decorated Paralympic athletes in the history of the sport and a crossover X Games medal winner. Selected from a deserving list of 17 nominees, the Hall of Fame Class of 2014 also includes athletes Jeremy Bloom, John “C.J.” Mueller and Johnny Spillane, as well as pioneer Kingsbury “Pitch” Pitcher. They’ll be formally inducted during the 38th annual Colorado Ski & Snowboard Hall of Fame Gala at the Omni Interlocken Hotel in Broomfield, Colo., on Friday, Oct. 17. This year’s class was selected from a total of 17 nominees, including Pam Conklin, Dr. Frederick “Jack” Eck, Cheryl Jensen, Scott Kennett, Paul Major, Mike and Steve Marolt, Dr. Barry Mink, Steve Raymond, Casey Puckett, Chris Puckett and Charles Smith. The Colorado Ski & Snowboard Museum Hall of Fame is located on the third level of the Vail Village parking structure adjacent to Vail Village Covered Bridge. A rich treasure trove of ski and snowboard history with themed galleries displaying artifacts, narratives and film documentaries, the museum is open daily from 10 a.m. to 6 p.m. For more information, call 970-476-1876 or go to www.skimuseum.net. Bloom is a three-time mogul skiing world champion, two-time Olympian, 11-time World Cup gold medalist and a member of the U.S. Ski and Snowboard Hall of Fame. In 2005, he won a record six straight World Cup events, the most in a single season in the sport’s history. Born and raised in Loveland, Colo., Bloom was also a standout football player at the University of Colorado and played briefly in the National Football League. In 2008, he founded the Jeremy Bloom Wish of a Lifetime Foundation, which grants lifelong wishes to seniors. Bloom is a College Football and Olympic television analyst and has worked for ESPN, Fox, NBC and The Pac12 Network. Forbes Magazine in 2013 called Bloom, who co-founded the Integrate software company, one of the 30 most influential people in technology under the age of 30. Bloom helped shape the evolution of mogul skiing that traces back to Steamboat’s Nelson Carmichael — a 1992 bronze medalist at the first Winter Olympics to include mogul skiing as a medal sport — and includes Vail’s Toby Dawson, a Hall of Fame member who won a bronze at the 2006 Torino Winter Olympics. Brown succeeded at the top level of ski racing as a junior racer and during his 10-year career on the U.S. Ski Team placed in the top 15 in World Cup events and top 100 in the FIS world rankings. 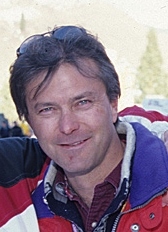 A Vail native, Brown had the honor of competing in the super-G on home snow at the 1989 World Alpine Ski Championships in Vail. He retired from competition soon thereafter, but jumped right into coaching for the U.S. Disabled Ski Team, which he helped guide at the 1990 World Championships. During his seven-year stint as coach of the U.S. Disabled Ski Team, Brown helped steer the squad to its status as the strongest disabled team in the world. He coached two of the most decorated Paralympic athletes in history — Chris Waddell and Will – and is credited with developing a disabled factoring system that allows disabled athletes from different disciplines to compete against one another for medals. Brown is clearly proud of how disabled athletes such as Waddell and Will progressed during his tenure: “We went from being six seconds behind the world to being 12 ahead in a year and half’s time,” Brown said. An amazing athlete, Mueller qualified for the U.S. national downhill championships in 1978 and 1979 and was one of the leading speed-skiing pioneers of the 1980s — becoming the first skier to ever exceed 130 mph in 1987. A three-time speed-skiing world record holder whose top speed was clocked at 137 mph, Mueller was a member of U.S. Speed Skiing Team and a top-10 finisher at the 1992 Winter Olympics in Albertville, France, where speed skiing was a demonstration sport. “C.J. is a strong supporter of winter sports in Summit County and was one of the founding members of the Breckenridge Elite Athletes Foundation that has provided support for several Olympians …,” the Summit County commissioners wrote in support of Mueller’s nomination. Pitcher and his family acquired property and moved to Aspen in 1951, where he joined Friedl Pfeiffer and Fred Iselin as a ski instructor. He later became ski school supervisor and was one of the first certified instructors in the Rocky Mountain Ski Instructors Association. In 1957, Pitcher was informally commissioned to look into a location for a major new ski resort in Colorado and was involved in the planning of Snowmass from 1958 to 1960. Pitcher acquired an interest in Buttermilk Mountain, which was later sold to Aspen Skiing Company, and he was involved in the planning and development of Arrowhead (now connected to Beaver Creek) and potential ski properties near Telluride. He also scouted locations for new ski areas and ski terrain from Vermont to Oregon and revived the struggling Santa Fe Ski Basin (now Ski Santa Fe). Pitcher purchased Wolf Creek ski area in the late 1970s, an iconic southern Colorado resort still owned by the Pitcher family and operated today by one of Pitcher’s six children, Davey, with Pitch still serving as a consultant. Davey Pitcher spoke to Real Vail about his father’s legacy in 2005 article that originally ran in the now-defunct Rocky Mountain News. Here’s a re-post of that article on Real Vail. Spillane is a four-time Olympian from Steamboat Springs who competed in the traditionally Scandinavian-dominated sport of Nordic combined. After becoming a successful junior cross-country ski racer and ski jumper, Spillane made his first U.S. Olympic Team at the 1998 Nagano Winter Olympic, and although he didn’t medal at successive Winter Games in 1998, 2002 or 2006, Spillane gained invaluable experience that ultimately paid off in a big way. At the 2010 Vancouver Winter Olympics, Spillane competed in three events and won three silver medals, including the first ever American medal in the sport of Nordic combined and only the third American medal ever earned in any Nordic sport. Spillane announced his retirement on April 18, 2013. Steamboat has long been an incubator for Nordic skiing talent dating back to the early Winter Olympic Games. For more on that history, check out this story that first ran in the Vail Daily. This is great news! As a lifelong friend, competitor, fellow coach and ardent supporter of Mike Brown, I can think of no one who is more deserving of this recognition! Mike’s dedication to Alpine skiing, and his love of the sport is unparalleled. Mike’s accomplishments as a racer and coach are well documented and they speak for themselves. Anyone who wants to know why he really deserves to be in the skiing hall of fame just needs to go take a run down the mountain with him. I would recognize his rock solid and dynamically fluid style from a mile away. One of my great pleasures in life, over the last 45 years, continues to be a long chairlift ride and a nonstop run side by side with with Mike. Mike’s HOF induction also represents a tribute to his entire family’s dedication to the sport. His dad Byron and mom Vi, were amazing supporters to ski racing and skiing in general in the Vail Valley. Byron pretty much single handedly built the Ski Club Vail building back in the late 1970s. The Brown’s opened the door to their home for many an aspiring young athlete over the years. Some of the most accomplished alpine athletes over the last 40 years spent a few nights at the “Brown Palace”. Mike’s sister Cindy and his late brother Todd, have made their marks on the Alpine skiing world as well. Cindy with the Beaver Creek Ski School and Todd with tremendous big mountain skiing ability and a star for Warren Miller.